It's been a super busy month, my dear readers! Between preparing our 6 year old for First Grade, getting the nursery ready for sweet Baby Boy's November arrival, putting together multiple garage sales and finishing up a few fantastic pieces for debut at a local flea market, I have been running around like a very pregnant chicken with it's head off! 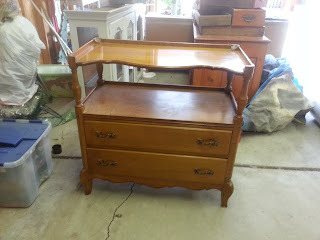 More on that flea market later, right now I want to show you my latest adventure in chalk paint! This sturdy table was purchased at an estate sale and her bones were good! 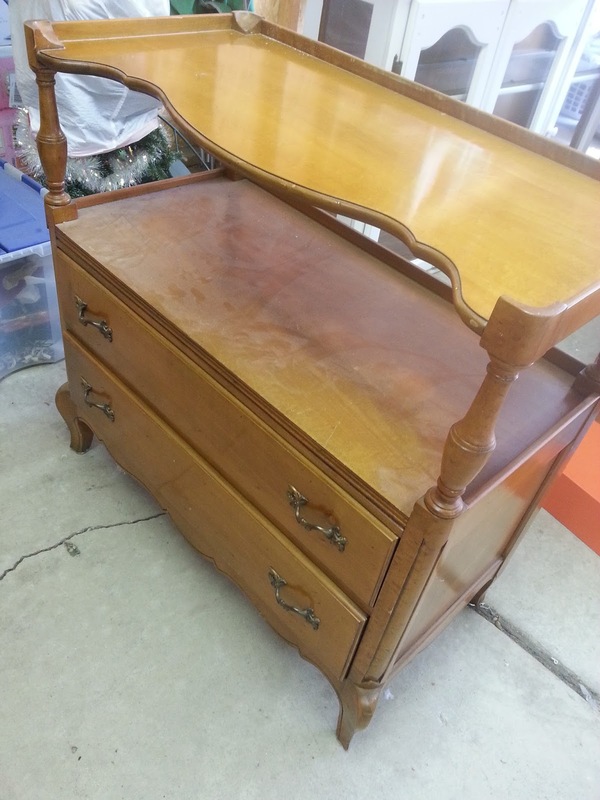 I loved the solid design and deep set drawers. The second table top allows for extra storage and a unique look. 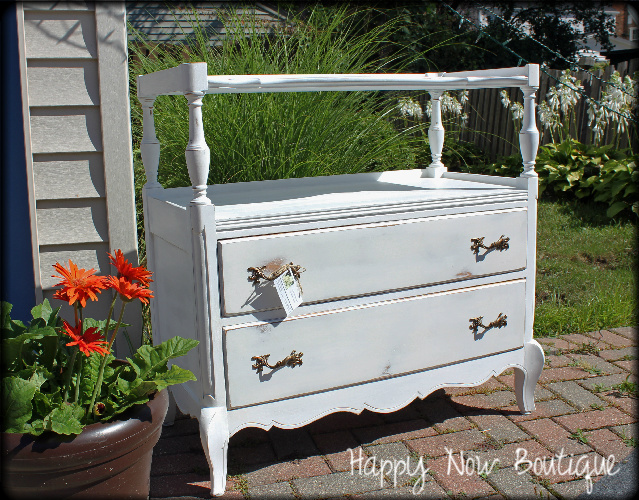 I thought she'd be perfect as my first real chalk paint project. No mixing with another type of paint. 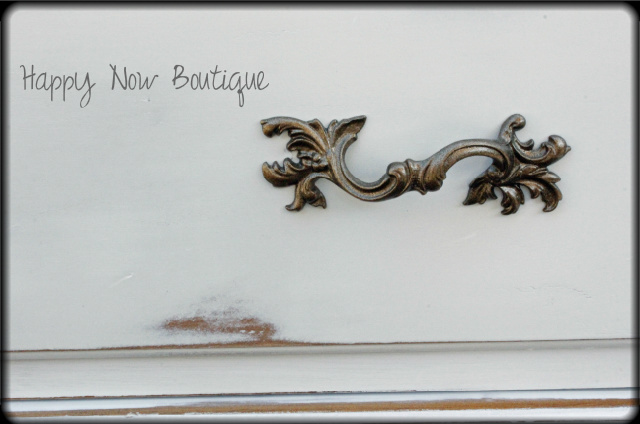 Just me, the paint brush and one of my fav brands of chalk paint, Maison Blanche in Magnolia. It was a learning experience, to say the least. One of the supposed perks of chalk paint is not having to prime your surface. 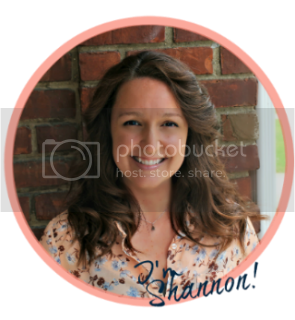 Many will state that the product's consistency allows for ease of application and smooth drying texture. I did not have this experience with this particular piece of furniture. She was a "bleeder". 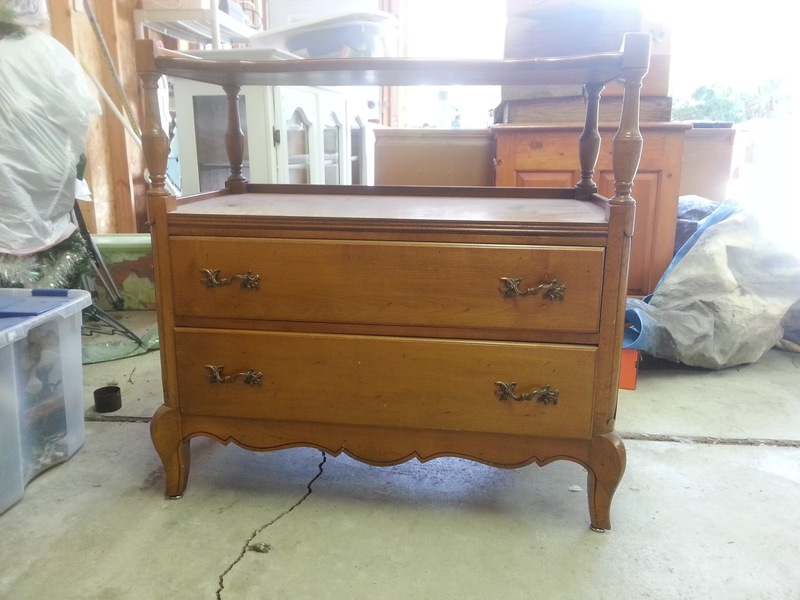 This means the stain of the wood bled through the paint no matter how many coats I applied. 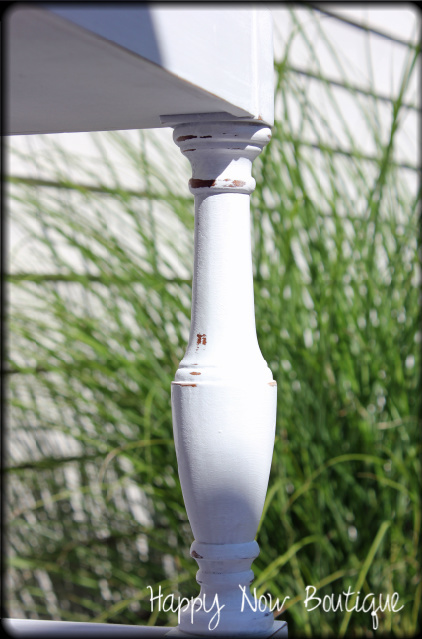 Bleeding typically happens when you are using white paint. Not only did she bleed, she smelled. The previous owner must have been an inside smoker because once I began to paint, I could smell the distinct cigarette smell that comes with furniture from a house full of smoke. I was temporarily bummed out, but did some research and found yet another awesome perk of chalk paint: it easily wipes off your surface with a little warm water and dish soap. So, I got to work scrubbing. And wiping. And washing. Once she was all cleaned off, I gave her a quick sand and primed her with the most awesome, primer of all primers: Zinsser B-I-N spray primer. This product is perfect for sealing your surface prior to painting. It covers any stain or smell. I choose the spray version because I wanted to move quickly. This stuff is crazy good but the fumes are stinky. It's best to use outside or in a heavily vented area and WEAR A FACE MASK. One coat and she was ready! I quickly got to work with the chalk paint and after one coat and a few touch ups, she was ready to distress. I went softly over the table with a piece of 120 grit sand paper, only distressing on the edges and corners. I wanted a soft-worn and elegant look. 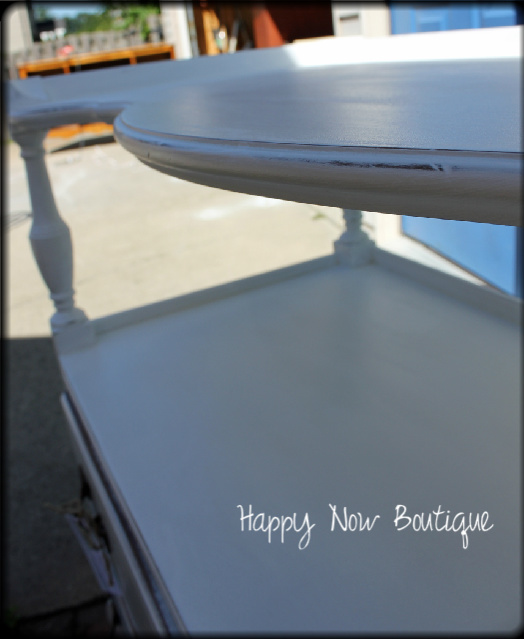 Once the distressing was complete, I finished the table with a water-based top coat by Finish Couture.. 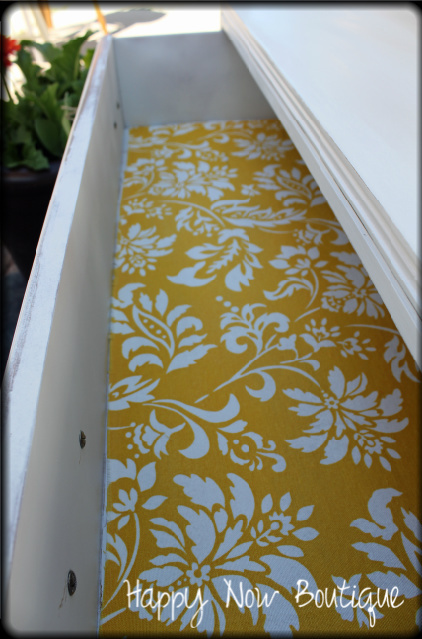 I wanted something dramatic for the drawers, so I decided to line them with a pretty, bright fabric. After washing and drying the fabric, I measured the inside area of each drawer and cut the fabric to size. 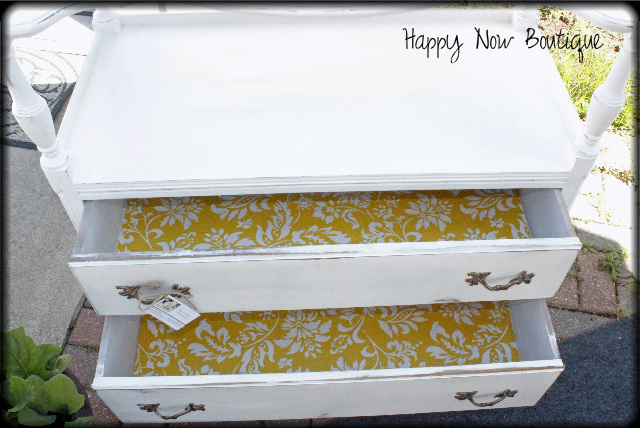 I used a thick layer of Mod Podge on each drawer bottom, and also a light layer on the fabric itself. 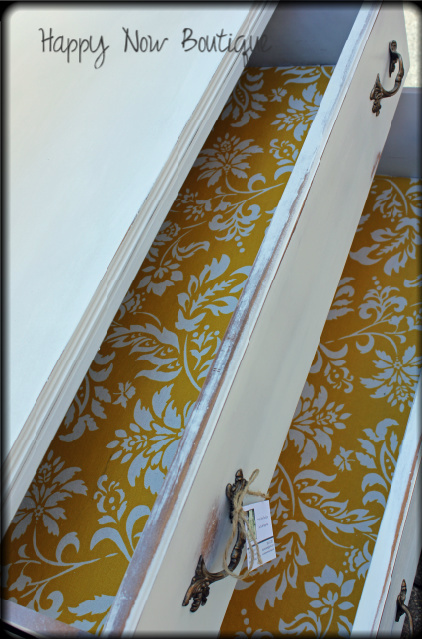 I smoothed the fabric onto the drawer bottoms and used a heavy glass dish to get rid of any wrinkles or air pockets. I let the fabric sit for 30 minutes before applying another coat of Mod Podge to the top of the fabric. 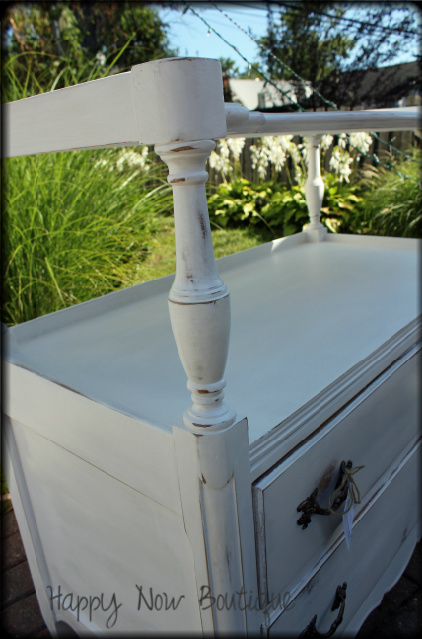 It should be noted that the sides and interiors of each drawer were spray painted in a bright white, flat spray paint from Rustoleum, to allow consistency. The hardware was original to the piece and I simply scuffed it up with some sand paper and sprayed it with one layer of gold-bronze spray paint, also by Rustoleum. Love, love, LOVE the results of all the hard work on this project. She turned out, in my opinion, quite beautiful. Overall, using chalk paint is definitely one of my favorite new techniques for furniture! It is easy to work with and distresses perfectly. 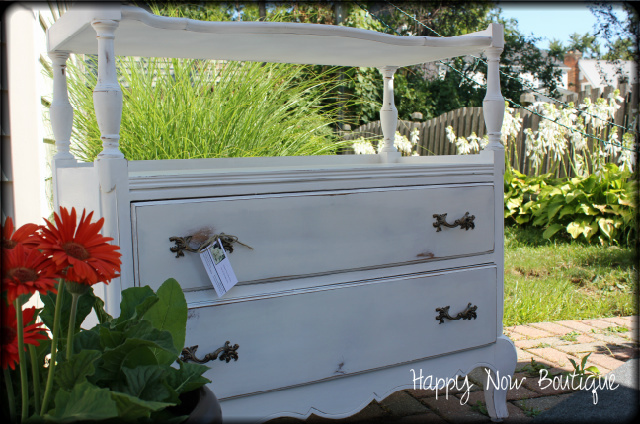 I am experimenting with making my own chalk paint right now and will be sure to share the results here with you soon! I am also excited to share some news with my readers: Happy Now Boutique is in the beginning stages and we currently working on opening an Etsy shop in the near future, where our hand-painted furniture and keepsakes will be available for purchase!!! We will also be featuring a few pieces in an upcoming local flea market, so if you're in the area, please stop by and see us! More on that market here. 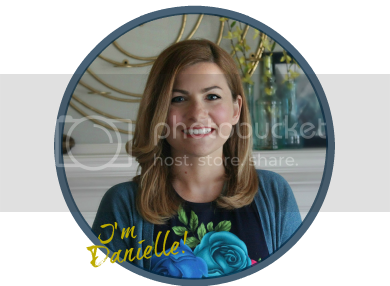 It is my goal to offer beautiful and unique, hand-painted furniture and home decor items to those with a wish for simple and elegant design. 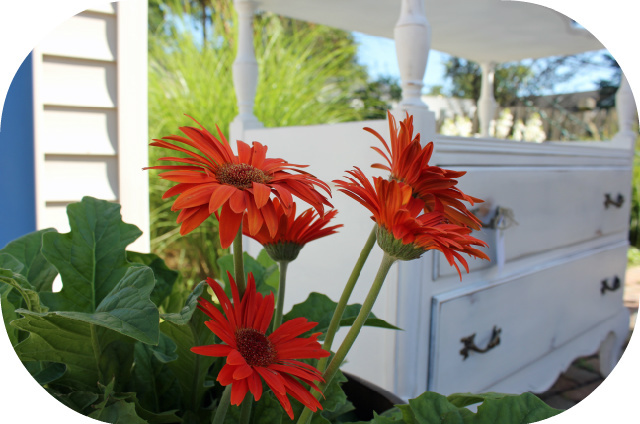 More-so, the goal at Happy Now has always been to use what is readily available and create something magical for your home. 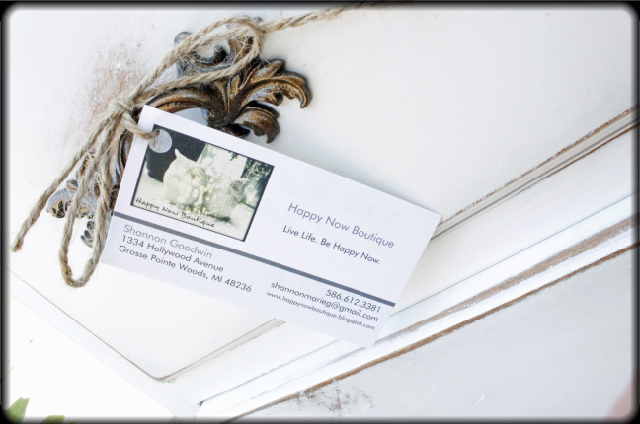 We will be Happy to offer consultations, custom design and in-home project completion to our clients. Thanks so much for reading and have a Happy week! Nice work! Looking forward to the next project.